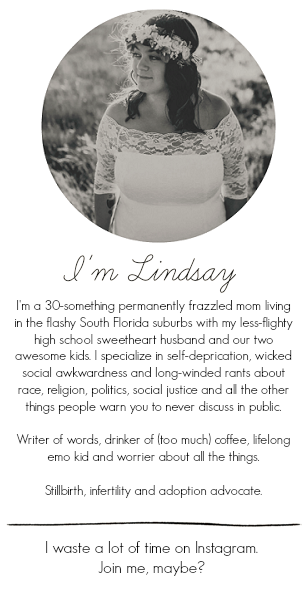 This post is a little bit later than I had planned for but it was my birthday this weekend, so give me a little reprieve? Maybe? What with the strep throat fiasco of doom that took over our house, letter W week ended up lasting two weeks. This was two weeks too long. Doing the same thing for two weeks in a row is definitely a very bad thing in Ethan's eyes. Every day the second week he would ask me why there were no new tot trays. Tack on the mom guilt. This was a fun one and one of Ethan's favorites this week. Ethan got to match up the weather -- sunny, rainy and cold -- with the coordinating items -- sunglasses, umbrella and a sweater. 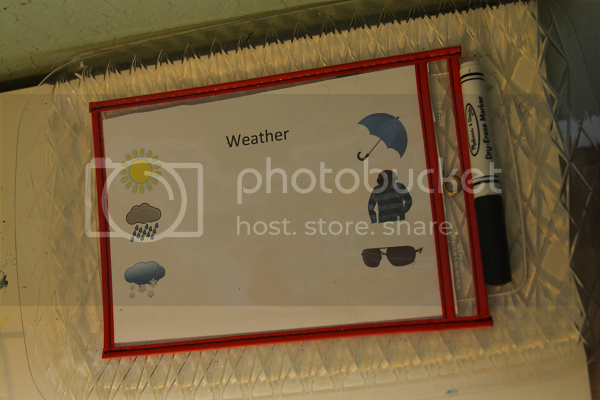 He got a kick out of this one, especially because we had a lot of rain and uncharacteristic (for Florida) cold during W week so he got to use all of the items pictured regularly. 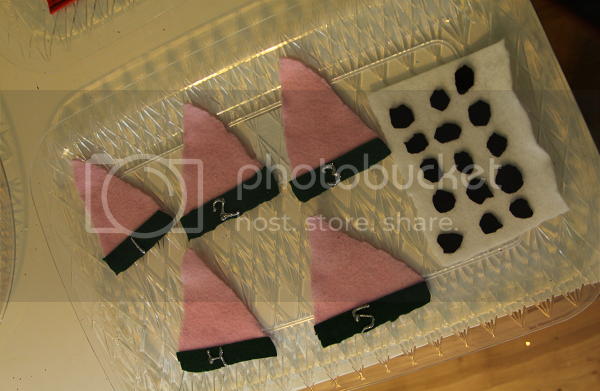 For this one, each little felt watermelon had a number and Ethan's job was to recognize the number and count out the correct number of seeds. Learning from my mistake of doing 1-10 and having him get bored halfway through, I made this 1-5 and it went much more smoothly. 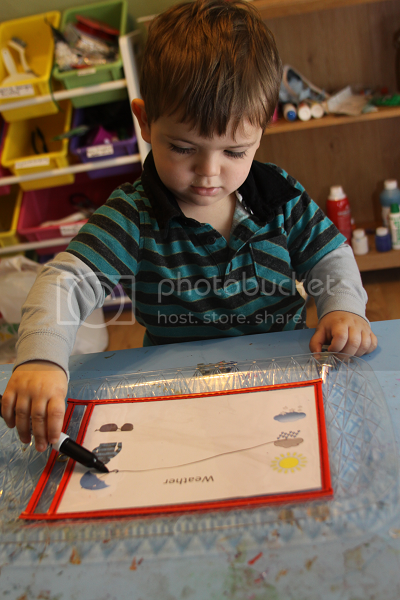 He really enjoyed this activity once or twice but for the most part, he refuses to enjoy any activity with felt. 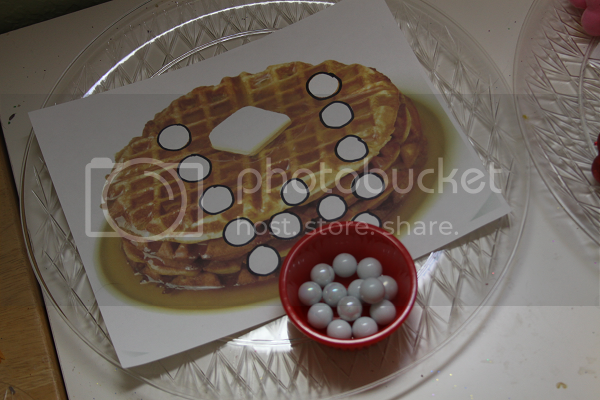 Ethan recently found a huge container of marbles at my parents house and has been obsessed with them, so I used them in this activity. 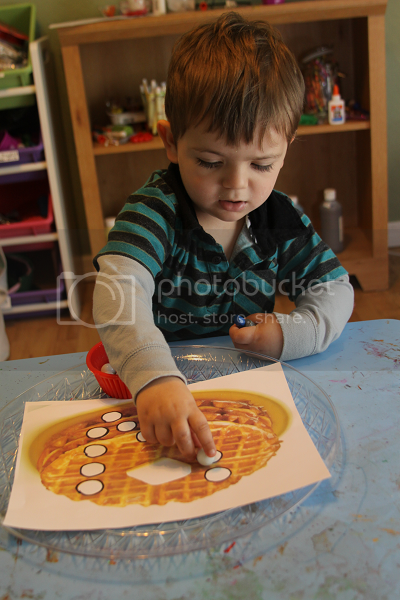 I used a free stock image of a stack of waffles and put in little white circles in the shape of a W. Ethan's job was to put the marbles on all of the white circles -- which seemed easy enough until they started rolling everywhere. Totally my fault. For this one, I took a free clip art image of a Walrus and tried my best to photoshop off the tusks. 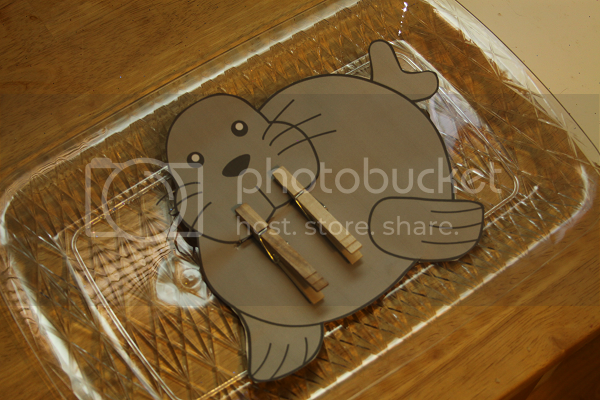 I then printed it and put clothespins in place of the tusks. 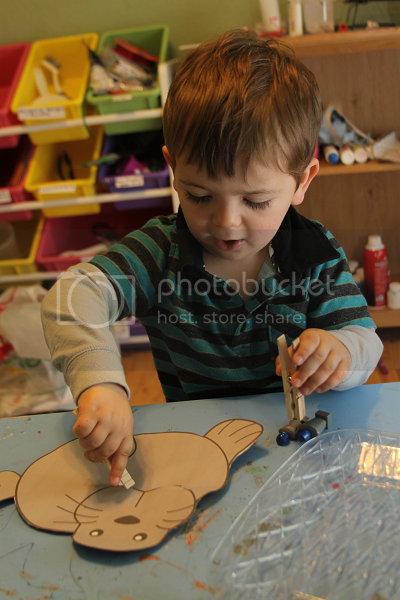 Ethan's job was to put the clothespin tusks on, which was pretty difficult. He still hasn't gotten the hang of opening and maneuvering clothespins, so he was pretty frustrated. He did give it a good try, though! 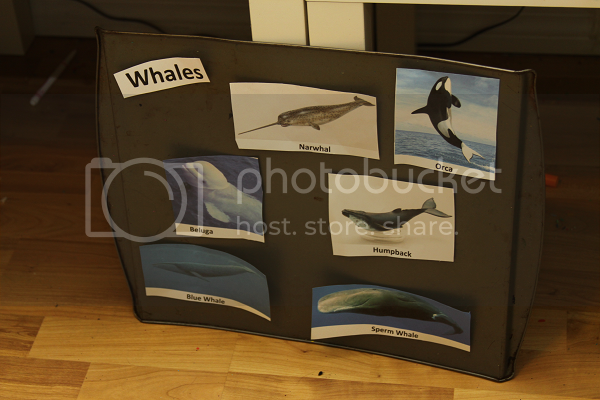 I did whales for the magnet board this week and he loved it. 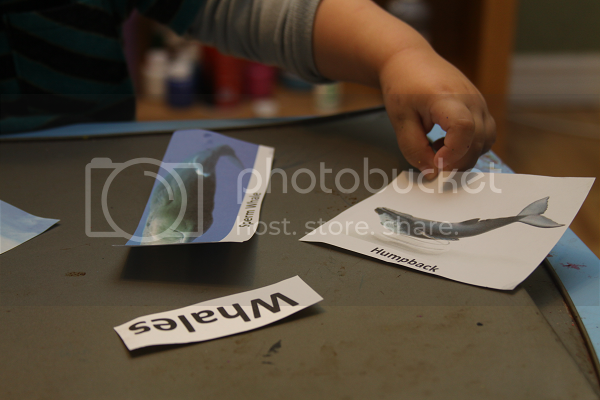 By the end of the two weeks, he was pretty awesome about picking out the different species of whales. His favorite, of course, being the Narwhal. 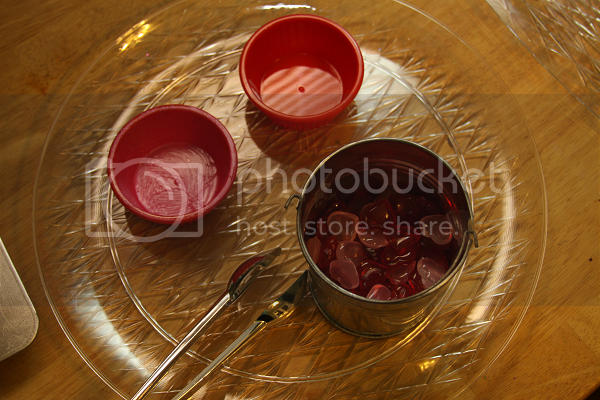 We've been having fun preparing for Valentine's Day so I had to throw in another Valentine's Day tray, too. I found these red and pink hearts at the dollar store. 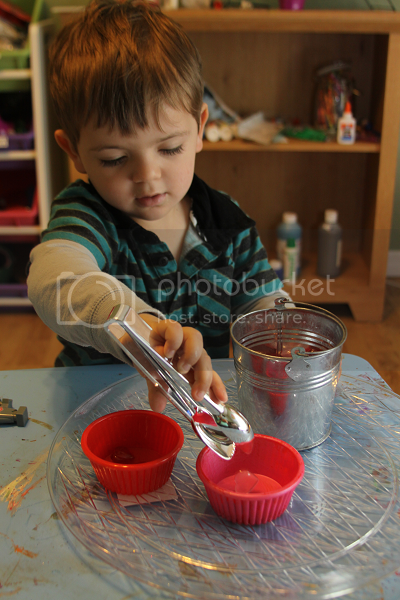 Ethan got to use tongs to put the red hearts into the red cup and the pink hearts into the pink cup. 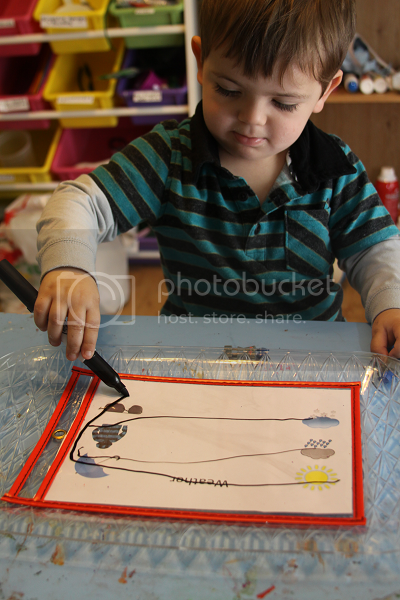 He loved this activity and it was one of those perfect activities for him to do whenever he needed something to do (dinner preparation, etc.). For this one, I filled a tray with just the tiniest, thinnest layer of water and froze it until it was ice. 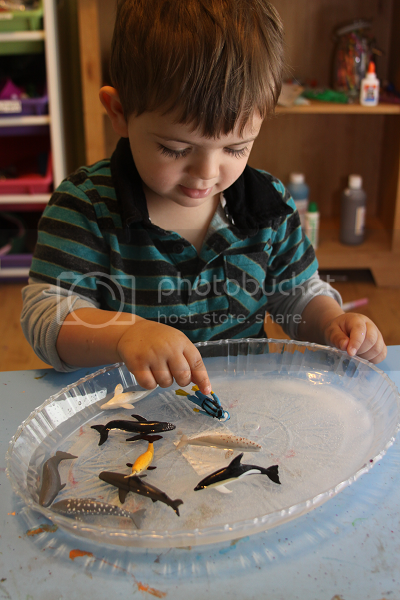 I then added some TOOB whales and water to the tray. 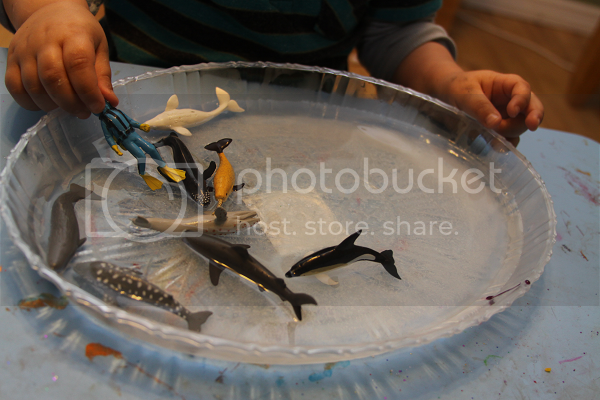 Ethan got to play with the whales in the freezing "arctic" waters and he had a lot of fun with this. It was fun watching him recognize and be able to point out the different species of whales! Sometimes I just can't find the comments link on your posts and then I go select apost where I had commented and refresh and find the comment link. Maybe it is my browser, but somedays I do miss commenting! I love all the activities you did for W.